The United Nations recognises the family as the basic unit of society. 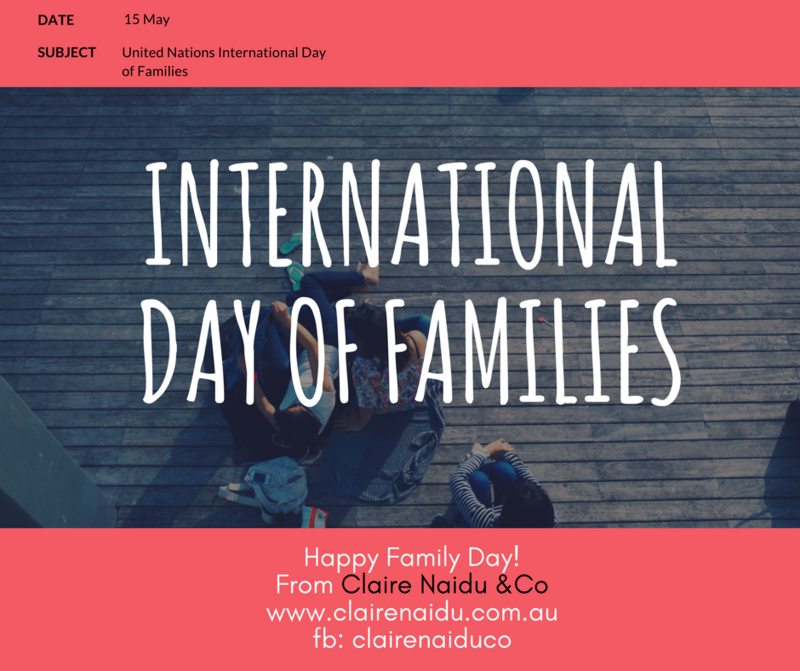 The 15th May is the United Nations Declared Day for Families. The International Day of Families provides an opportunity to promote awareness of issues relating to families and to increase knowledge of the social, economic and demographic processes affecting them. Claire Naidu & Co is a business that focuses on families. We offer a range of services that focus on preserving families in their current shape as well as helping families transition into different shapes as the familial relationships change in time.